- unable to mount user fillesystem ! try restore again in version 4.2.1, then activate. but if i restor it whith 4.2.1 oreginal firmware (not costome) bb mode will be upgrade to 3.10 or no because it unpgrad to 3.10 no solution unlock it right ? yes. what is the original firmware of your iphone? what version of greenpoison did you use? is it factory unlocked or not? i already said yes . Make sure the device is connected, and Umbrella has detected the type of device and its firmware. 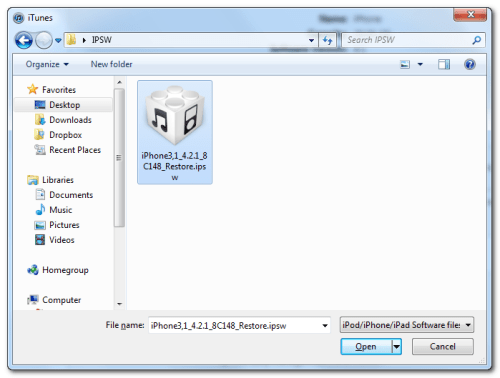 **If you haven't already saved your iOS 4.2.1 SHSH blobs then click Save SHSH. Make sure they successfully save before continuing. Hit Start TSS Server and make sure you receive no errors. Once The TSS Server is "running" successfully, umbrella will kill iTunes. Leave TinyUmbrella Open. You can double check to see if the TSS server is running under the Log tab. If you do receive an error, DO NOT continue. Your restore will not work if the TSS server cannot be started. Open iTunes by doubling clicking its icon in the dock. Select your iPhone 4.2.1 firmware file from the popup window that appears and click Open. Click Restore to begin restoring your device. iTunes should give you error 1013. This is what we wanted, as it notes the baseband has not updated :) Click Ok and close iTunes. If you get a 16XX error then try entering DFU and go to step 5. 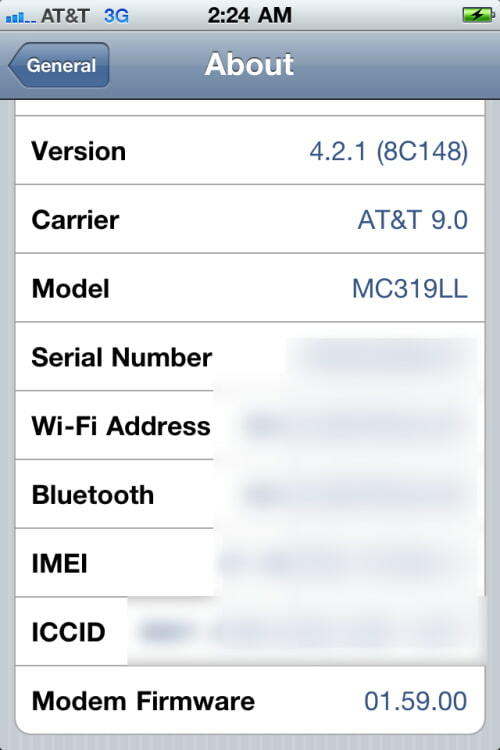 If your restore does NOT end in a 1013, it means your baseband was updated. This is likely because you did not have the TSS server running OR you updated without TinyUmbrella OR you are working with a device OTHER than iPhone 4. Place your iPhone into DFU mode by holding down both the Power and Home buttons for ten seconds, then release the Power button and continue holding the Home button for another 5 seconds. You can find help with DFU mode here. 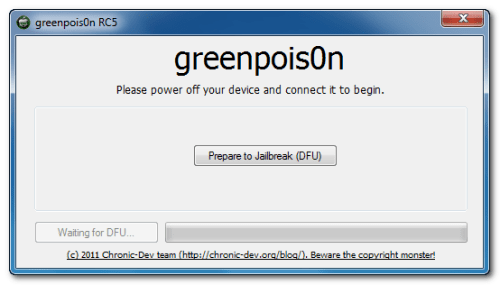 You can't jailbreak by greenpois0n because your phone is use custom firmware with redsn0w jailbreak. 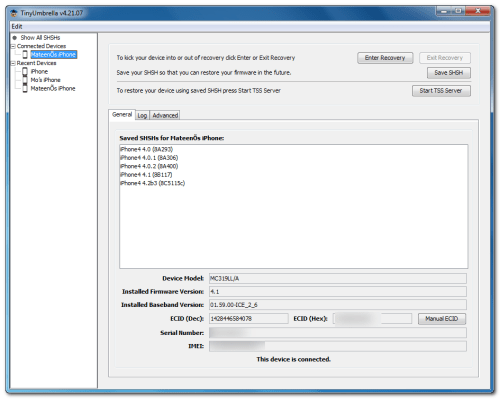 Now, pls Restore Iphone 4 by this custom firmware : no cydia installed, noactive then use Greenpois0n jailbreak and install cydia. this iphone doesnt have the any problems because this is att, the iphone doesnt have the ultrasnow.